Up to 200 women who had a smear test under CervicalCheck may have been the victim of a misdiagnosis and developed cancer. The doctors who treated the women are being contacted by the national screening service to alert them to an internal investigation into their case. 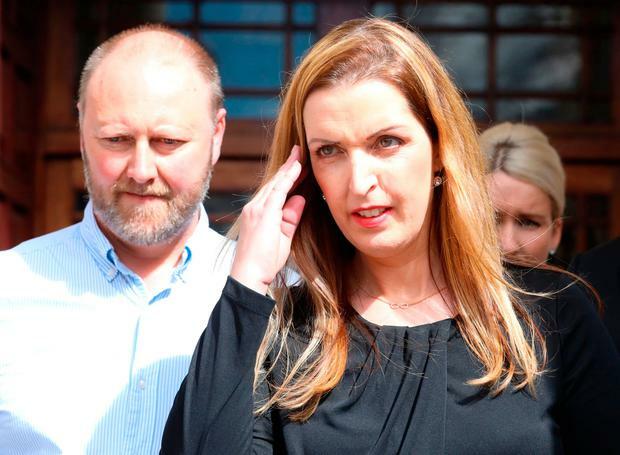 The move follows the outcry at revelations that Limerick mother-of-two Vicky Phelan, who is terminally ill with cervical cancer, was not told that CervicalCheck carried out an internal review of her care in 2014. Ms Phelan, who was awarded €2.5m in the High Court this week, had a false negative smear test result in 2011 but developed symptoms in 2014 and was diagnosed with cancer. She was one of 15 women whose cases were looked at by the screening service in 2014 but she did not learn about the report until late last year. The HSE confirmed yesterday that it was writing to consultants of patients who had been given the all-clear but later developed cancer. The GPs were to inform these women that a review of their case was being carried out. "We are seeking to ensure that this will take place in an expedient manner," a spokeswoman said. Asked if any of the women had died, she said: "This is not information kept by CervicalCheck." Information on these internal reports is now given to treating doctors "in a matter of months" but not all women may want to be informed, CervicalCheck said. It has a leaflet on its website telling women an internal review may be conducted if they develop cancer. Ms Phelan, who has two young children, accused CervicalCheck of "an appalling breach of trust". Although it is known that no screening service can prevent all cervical cancers, CervicalCheck said it could not quantify the failure rate for its programme. Since it started providing free smear tests to women in 2008 some three million screenings have been carried out. The spokeswoman added: "It is impossible to quantify the failure or error rate. "The cervical screening test is sensitive and the nature of screening is not diagnostic, so tests cannot always confirm the presence or absence of pre-cancerous changes. "Ms Phelan's original 2011 test was carried out by Clinical Pathology Laboratories in Austin Texas."